Comfort, luxury, and innovation are great words to describe the 2018 Jaguar F-TYPE. We have one currently available at our Colorado Springs dealership. This F-TYPE R AWD has a powerful 5.0L V8 Supercharged engine paired with an 8-speed automatic transmission. With this luxury sports coupe you can enjoy a huge selection of features including navigation system, heated and cooled seats, heated steering wheel, heated windshield, 20″ 6-split-spoke-style wheels, and the extended leather package. Though powerful, this engine is also efficient! You can expect an estimated 15 mpg city and 23 mpg highway! 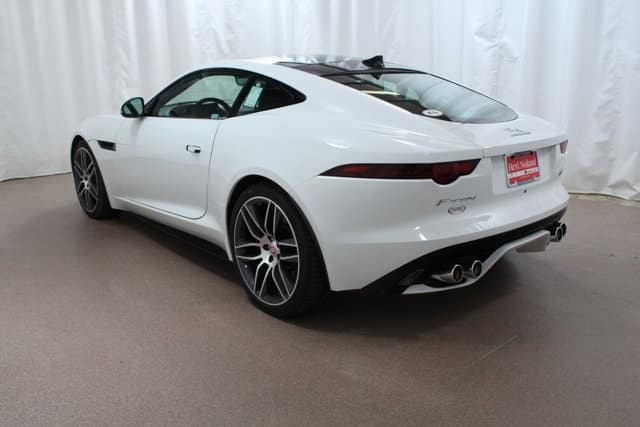 Visit Jaguar Colorado Springs today to see this 2018 Jaguar F-TYPE. Our Jaguar experts can introduce you to the many features and let you experience the powerful performance that you can expect when you drive this F-TYPE home.